Looking forward to a camping holiday, but don’t feel like putting up a tent? Then the safari tent might just be the thing for you. 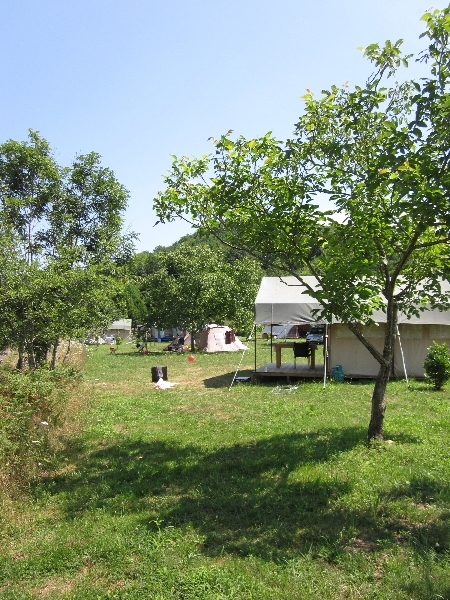 Your small campsite on the Dordogne offers these tents as rentals, in total there are 3 of them. 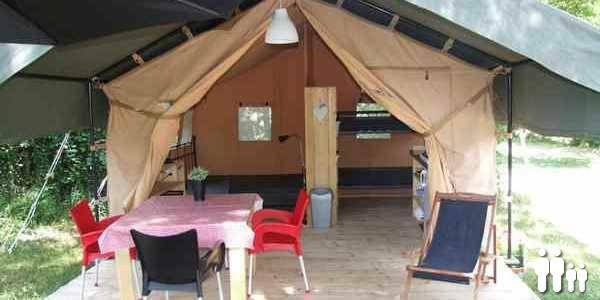 These safari tents feature 4 beds (1 double, 2 singles), a kitchen, fridge, terrace, dinner table with chairs , lazy chairs and all other things you might need (cutlery, glasses, coffee machine, etc). At request, we can add a baby bed to the tent. 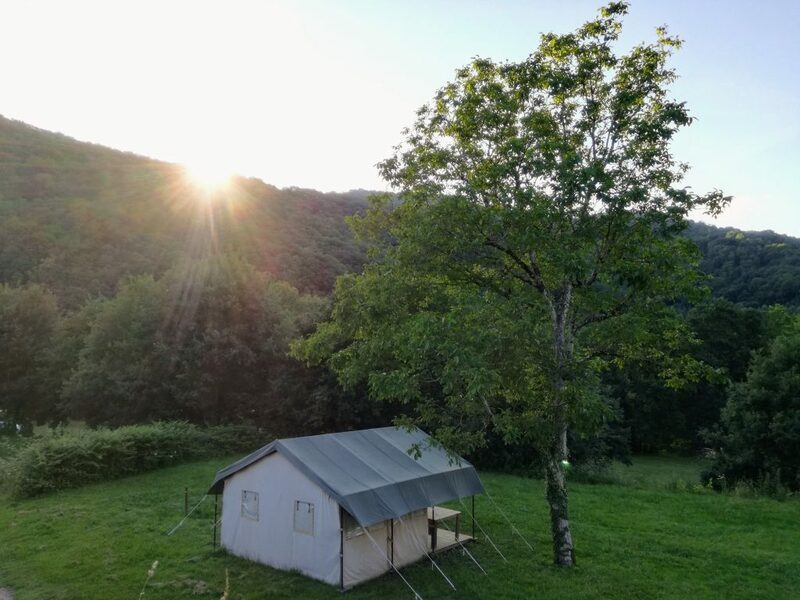 The tents on our campsite are of the type “Petit Tent en Suite”, and you can book them directly through this website. Please click here to go to the booking page.